I just received my application response letter from CSLB (B License) indicating several uncompleted areas. The primary section being certification of work experience. They have recommended I change my experience date to start no sooner that 3//2008, which is exactly 10 years from the receipt of my application. As most careers progress, my journeyman level experience occurred through owner builder projects and working as a project engineer for General Contractors earlier in my career. Over the last 5 years, my construction background includes working as a project Manager for new ground up construction projects in excess of $30MM. 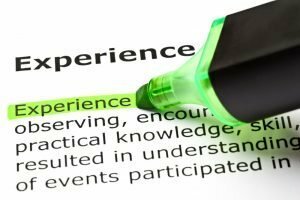 Given my experience is related to what a non-performing general contractor typically does on a daily basis, it would seem project management should qualify as a higher level experience. Do you know if the investigation unit will consider this type of experience on a case-by-case basis? The law states that you can only go back 10 years when providing experience. If your journeyman level work was before then and your PM experience after then, that’s fine. They will/should accept PM experience obtain over the last 10 years. Are they asking you to correct the B experience outline you provided? Yes, In speaking with assigned reviewer, they are requesting I revise my certification of “B’ work experience to show trade duties performed that would meet “journeyman level” experience or supervision of employees. Based on our conversation, I understand that they are not likely to honor any past experience that is beyond ten years, which happens to be the timeframe I acted as an owner-builder for a new custom permitted home. The reviewer also mentioned a case in which another individual provided a letter indicating the trade work he performed had not significantly changed and therefore should be considered. She mentioned 48 months was the requirement for approval. Yes, the requirement is to show at least 4 yrs of journeyman level or higher experience that was obtained within the last 10 years. You have to provide an experience outline that includes framing and at least two unrelated trades. Do not include admin duties such as contracts, obtaining permits, working punch lists, dealing with clients, hiring subs, etc. I have first hand experience with this issue. Phil helped me reformat my application using key words, when CSLB found it “unacceptable”. Phil listened to my case. He asked me to email him my application so he can take a look and see where I went wrong. Within minutes, he emailed me different formats of rewording the experience on the app. He did all this without any obligation! My app got posted a few days after. My application went through a lot of road blocks but thanks to Phil, I turn to him with questions and he is always ready to help. He has all the resources and he has genuine interest in your success as a contractor. I hope there are more like Phil. I am so glad I found him on this blog. CSLB just issued my Gen B License 2 weeks ago after a grueling 8-month process but I made it and Phil was there ever ready to help and offer advise.